This is a truly unique and engaging festival that showcases over 1,200 classic and high-performance vehicles. Take a tour through the grounds to enjoy imports and kit cars from at least seven different countries, representing thirty-seven unique manufacturers. Don’t miss the unbeatable parts shopping experience and a vending opportunity without comparison. Bring the family for a weekend full of fun with everything from prizes via the Passport Program to onsite autocross racing, club gatherings, cruises to historic scenic locations and even an activities area devoted to kids – the future of the hobby. Click here for more information. Seminar: Victress Manufacturing- What Can We Learn From This Plastic Powerhouse of the 1950s? 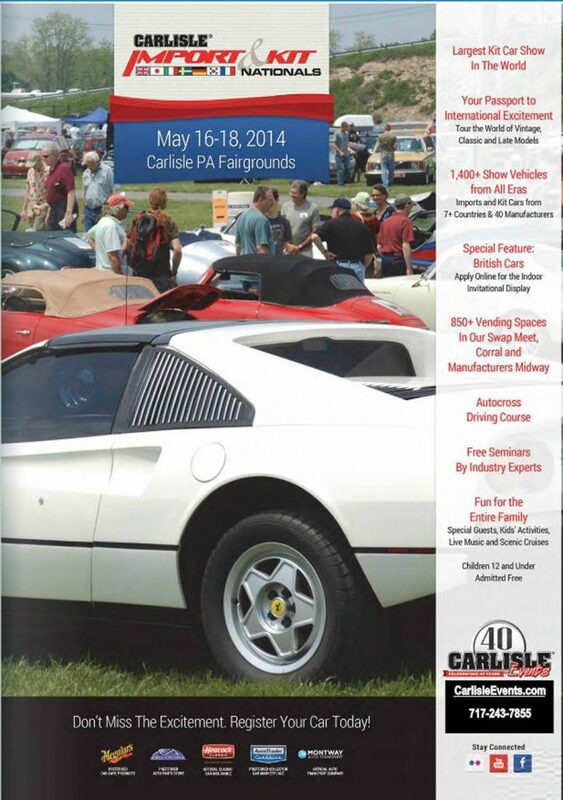 Carlisle Events welcomes fiberglass car pioneer Merrill Powell from Victress Manufacturing to Carlisle for the first time. Merrill will speak about the early years of the fiberglass sports car business – the 1950s – in America, and he will discuss the history of Victress Manufacturing specifically. While many small companies designed and built their own bodies and cars in the 1950s, only a few companies resonated across America based on their design, their quality, and their success in the market. Victress Manufacturing from southern California was one of these companies. 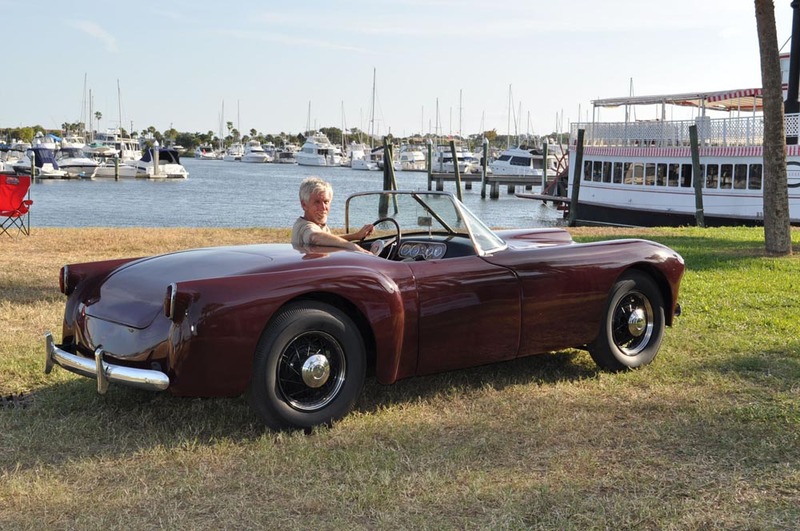 Founded by Doc Boyce-Smith in 1952 with the release of their first car – the Victress S1 sports car, Victress forged ahead and in late 1953, Merrill Powell joined Doc as a full partner in the organization. Ultimately, they would offer 6 different body designs – and custom bodies too. Victress Manufacturing continued to expand beyond car-related products into commercial, industrial, military, and aeronautical products. By the time Doc and Merrill sold their organization to Les and Joan Dawes of La Dawri Coachcraft in 1961, they had accomplished more than any of their competitors during this time. Merrill Powell will focus on Victress during this seminar. But the early days of fiberglass sports car building, business survival strategies and historical legacy will be relevant to all who are interested in in specialty cars: past and present. Rick D’Louhy and Geoff Hacker of “Forgotten Fiberglass” will also participate, adding their depth of knowledge and context to the golden years of building your own sports car in America. Click here for more information. Merrill Powell, born in 1930, became interested in sport cars while in the Air Force, and especially the concept of fiberglass auto bodies, as developed by Bill Tritt at Glasspar. When he returned to his home in Los Angeles upon completion of active duty, his parents suggested that he apply to Art Center (a school which focused on automobile design), which quickly accepted him. There Merrill became friends with Hugh Jorgenson, who had co-designed the Victress S-1 with Doc Boyce-Smith. In late 1953, Merrill became an unpaid worker at the Boyce-Smith Company, nights and weekends, and assisted with S-4 development – their next sports car body. Doc and Merrill worked well together and in early 1954 Merrill invested in the company and the new partnership incorporated as Victress Manufacturing Company, Inc. By the end of the spring semester in 1954, Merrill left Art Center School of Design to devote full time to Victress. His activities at Victress over the years included design and development of the C-2 and C-3 coupes as well as tool design and prototype development for a variety of commercial, industrial, military, and aeronautical products. Following the sale of Victress to LaDawri in 1961, and a brief foray to the fringes of the motion picture industry, Merrill entered the aerospace world as a human factors engineer working on Titan II, Project Apollo, hospital systems analysis, Panama Canal marine traffic control, and finally Apache and other helicopter development before retiring in 1993. Click here for more information. 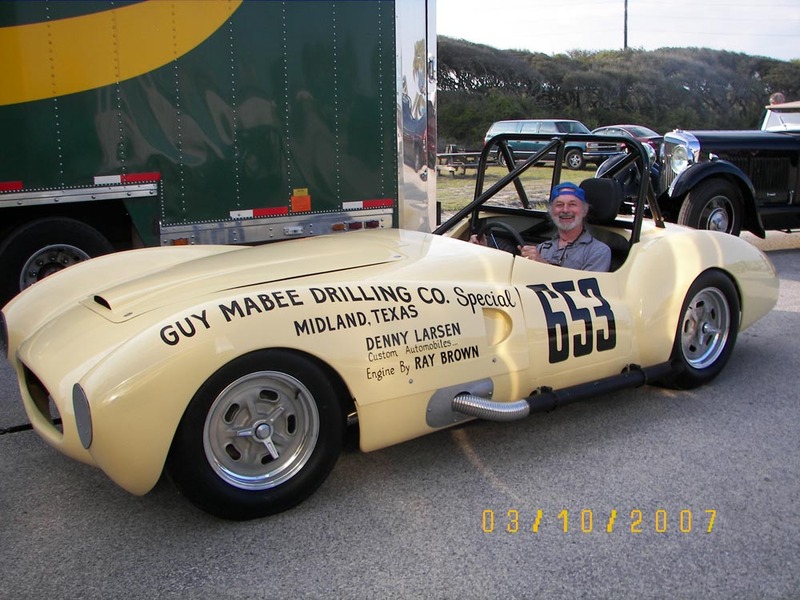 Since the late 1980s, Rick D’Louhy has produced and promoted prominent collector car events at Zephyrhills, Florida and at Daytona International Speedway. 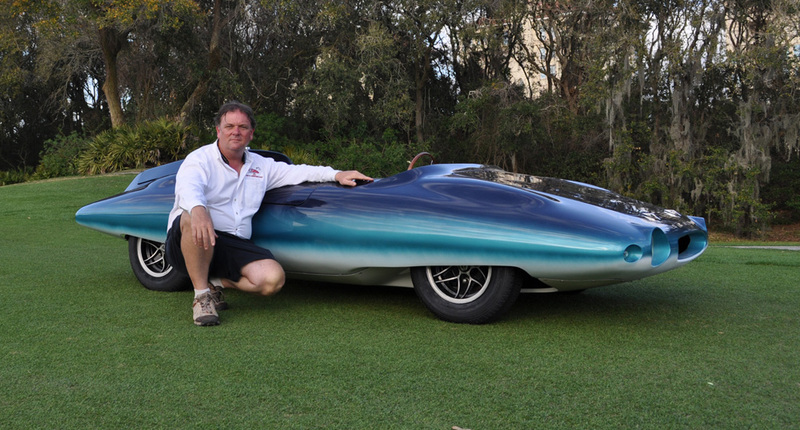 He is now producing a major collector car event in Florida, the Daytona Beach Dream Cruise. Rick has appeared on a number of television programs sharing his knowledge on a wide variety of automotive topics. 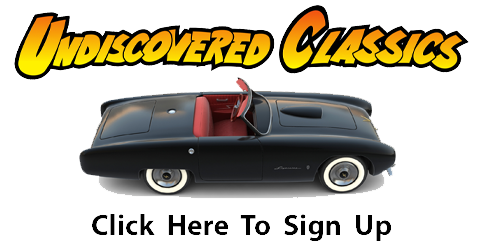 As part of the research for a book on vintage fiberglass cars called “Forgotten Fiberglass,” Rick and his co-conspirator in research, Geoff Hacker, have traveled the country meeting the families and individuals who designed and built these cars back in the 1950s. These trips took both of them to all parts of America with visits to more than 100 founders, designers and builders involved with these cars from back in the day. Click here for more information. Aptly called “Captain Curiosity” by Classic and Sports Car Magazine and “The Snipe Hunter” in Tom Cotter’s 2010 bestselling book, “Corvette in the Barn”, Geoff Hacker has been the king of automotive snipe hunters for the past many years, bringing back to life dozens of rare and historically interesting cars that most enthusiasts either never knew existed or had written off as extinct. Geoff is an automotive historian who is researching the history of vintage fiberglass cars with his good friend Rick D’Louhy. Both are working on a book called “Forgotten Fiberglass”. Read more about Geoff’s background on his their web page, linked below. Click here for more information. We’d like to personally thank Ed Buczeskie of Carlisle Events for the invitation and support to participate this year and hope to see as many of you as possible join us next month in Carlisle, Pennsylvania. Come on down gang, because Merrill, Rick and I are coming “up” from Florida and Arizona to see you and meet you! do you know of a prof from UOM.orMSU,taught auto design ,or.. In the 50,60,he and a son a lawyer from Ann or or? Build a fiberglass car in the 50,60 named after him I believe it to be know as the lattie laytante,lontie,lanttie,was pur for a wrecking yard in west Toledo in 74. Sold in Adrian mich,1975. Build on a hots shot front fiat eng tran? Rear ? Crosley ? Aleksis Lahti? Is that the name?